A full thirteen generations has passed since the infamous “Salem Witch Hunts” of the 1690’s had poisoned the very emergence of American History. Now,even a modern era of Salem Village, Massachusetts is chained to her shocking past. More than half-way through the twentieth century, the nearby forest is dark and dreadful indeed, especially at night. There are entities amongst the trees, hidden to most eyes. They are entities– perhaps hundreds of them–cloaked in hooded robes, and devoted to restless spirits from the past. They lust for revenge in these woods, plotting secret snatchings and bloody murders. They are determined to avenge the wrongs of long, long ago. Decades and decades have passed without a sure witness to their bloodletting, and they grow bolder and more insatiable. Now,they seek to commit the most unthinkable of murderous acts. It is only the blood sacrifice of a child that shall finally satisfy them. But the entities have been seen by two boys of twelve, hiding in their own spot in the forest. Timmy Tallent and Charlie Connors fear for their young lives because of the things they have seen and heard. There is no one for them to turn to, for any one of Salem’s respected citizens by day, could be under a black hood by night. A black cat also lurks in these woods at night– like a shadow with nothing to cast it. Timmy and Charlie have seen it light up the trunks of the trees with its fiery-yellow eyes that glow like jewels upon a pharaoh’s nemes. They have seen it in the forest sometimes, here or there, only for it to disappear again in the wink of an eye.The dark entities loathe this cat; they hunt it relentlessly with their shotguns and crossbows, but it proves to be a most difficult quarry. Is it friend or foe– the boys do wonder. They know they have no other allies, but what should two young boys and a ten-pound cat do against such overwhelming odds; against such sinister evil? This is a story in which two American eras are connected by Ancient Egyptian lore, in a plot that twists into an astonishing ending. 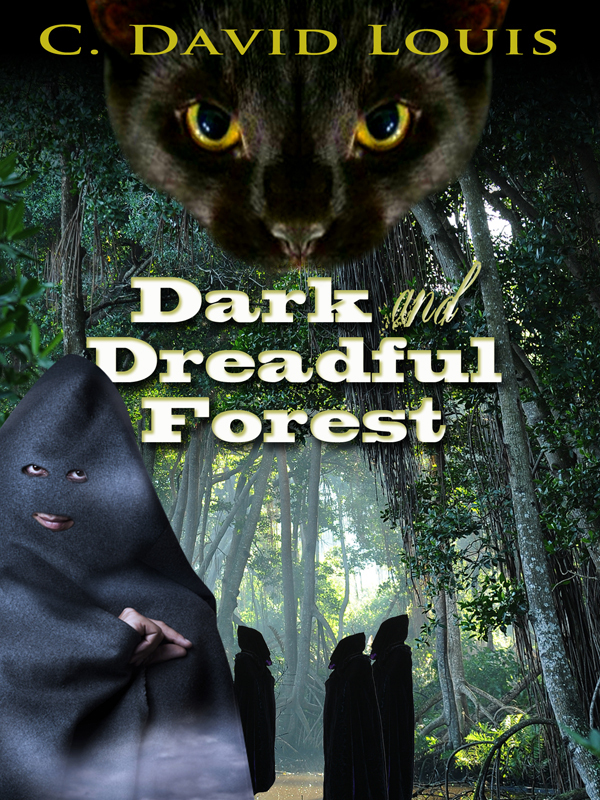 Captivating from beginning to end–and explosive in the middle– Dark and Dreadful Forest by C. David Louis is a tale of good vs. evil that you’ll never forget! You can purchase the book online from Smashwords in multiple eBook formats at https://www.smashwords.com/books/view/271762.